The recent rise of criminal activity involving items of cultural value has brought to the fore issues around the retrieval of stolen and illegally exported cultural relics, as well as the restoration of rights to objets d’art, lost at different times and for different reasons. In order to resolve such issues in a targeted and efficient manner, the state has introduced a series of special measures for the retrieval of lost national treasures. A large number of the legal difficulties associated with this long-standing problem have now been successfully resolved. Let us, then, examine some of the most important steps taken in this area. One would have thought that this clear demand, which must surely echo the wishes of every Russian, would have been immediately followed by decisive action. Five years passed, however, before a national state service for preserving movable items of cultural value was created. Established in 1997 as part of the Russian Ministry of Culture, this body possessed the authority to retrieve valuable items in accordance with the UNESCO Convention on the Means of Prohibiting and Preventing the Illicit Import, Export and Transfer of Ownership of Cultural Property. Following the administrative reforms of 2004, executive authority and oversight in the field of preserving items of cultural value passed on to the Federal Service for Monitoring Adherence to Legislation in the Field of Mass Communications and Preserving Russia's Cultural Heritage - Rosokhrankultura for short. More recently, Rosokhrankultura became Rossvyazokhrankultura - the Federal Service for Oversight in the Field of Mass Communications and the Preservation of Russia's Cultural Heritage. Furthermore, if Rosokhrankultura was subordinated to the Ministry of Culture and Mass Communications, Rossvyazokhrankultura answers direct to the Russian government. Current Russian and international legislation allows us to work effectively, dividing our efforts into two strands. The first strand includes the activities of law enforcement agencies working on criminal cases involving the theft, misappropriation or illegal export of items of cultural value. The international search operations and subsequent expert examinations of lost items are coordinated by an investigator In cases where lost items are discovered in a foreign country, the investigator drafts and submits to the Russian Prosecutor General an international warrant for their seizure and return. Naturally, the success of such operations is largely dependent on the accuracy of the investigator's initial description of the lost item for identification purposes, as well as on an international search being declared in a timely manner by Interpol. Success also depends on whether the country in which a lost item of cultural value is discovered has signed an agreement with Russia concerning legal aid or cooperation in preserving items of cultural value. The second strand involves work on returning stolen or illegally exported items to Russia, carried out in accordance with civil law. In this case, valuable items are reclaimed not from criminals, who have deliberately stolen them, but from honest buyers, unaware of the fact that the goods they were purchasing were stolen or illegally exported from Russia. Such circumstances may arise when the international search for stolen historical artefacts, objets d'artor other national treasures is begun too late, or when it is impossible to instigate a criminal case for the theft. In any case, this work has to do with the illegal export from Russia of objects in private possession, yet protected by the State as items of exceptional cultural or historical value. Our service plays a leading role in ensuring adherence to the correct procedures for export and import of items of cultural value from and to Russia, as well as in the restoration of legal rights of ownership of items of cultural value, and in their return. The differences between the legal systems of different states render each case involving the return of a cultural relic absolutely unique - as is the item itself. A number of our successfully resolved cases were completely unprecedented. For this reason, the support we consistently receive from the Russian Foreign Ministry and Russian Embassies and Consulates abroad is invaluable. Direct cooperation with various bodies and departments of the Russian Ministry of the Interior, such as the Ministry's Investigations Committee and Criminal Investigation Department, and the Russian National Central Bureau of Interpol, is also extremely important. Through trial and error, we have developed a general action plan which enables us to carry out our operations successfully. A vital element of our work is maintaining direct contact with the major foreign auction houses, as well as with organisations producing databases of lost objets d'art, such as the international Register of Stolen Art, which exists in the UK and the USA. In order to register lost and stolen items of cultural value, we developed an automatic electronic registration and search system known as ERPAS. A special group of experts was formed, which checks foreign auction catalogues for lost items of Russian origin. 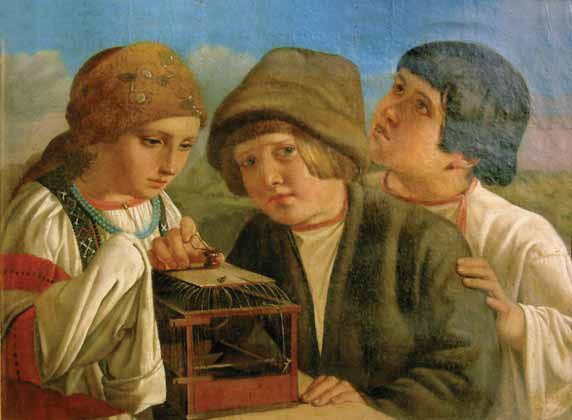 As many Tretyakov Gallery Magazine readers no doubt possess a professional interest in the museum world, we will examine the workings of the ERPAS system in a little more detail. Thanks to our sponsors, we are able to use the services of leading international lawyers. As the Russian state is unable to provide the necessary resources for this, our sponsors' help is of crucial, and, occasionally, of decisive value. It is also vital for us to possess the skills to conduct negotiations with genuine owners who purchased their possessions honestly, in accordance with the laws of their country. In such situations, our task is to convince the owner to surrender his or her possession voluntarily: in a large number of cases, owners will cooperate out of the desire to protect their prestige and reputation, thus rendering legal proceedings unnecessary. In the first five years of work, between 1997 and 2002, when the current state mechanism for returning valuable items was still in the process of development, over 800 works of art and archive documents with a total value of over 300 million rubles (over $11.5 million) were reclaimed. At Rosokhrankultura, we succeeded in obtaining the same result over a period of just three years. Between 2004 and 2007, we reclaimed over 700 works of art and religious relics which had been lost, stolen or illegally exported after World War II, as well as several thousand archive documents. The total value of these treasures was around 300 million rubles. At our initiative, for the first time since World War II, systematic efforts to trace and recover the cultural treasures lost during the war are now being made. As a result, we have succeeded in finding and reclaiming 42 important works of art and over 500 files from the Smolensk Communist Party archives. 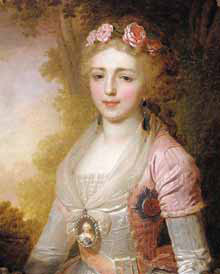 The recovered pieces now grace the walls of the Tretyakov Gallery, Russian Museum and museums in the palaces of Pavlovsk, Gatchina, Tsarskoye Selo, Peterhof and Strelna. 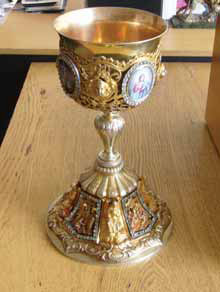 Some of the items have found new homes in churches in the Moscow, Pskov and Novgorod regions. According to the Special State Committee for the Investigation of Nazi Crimes, 173 museums of the Russian Federation suffered as a result of World War II. These museums boasted rare icons, masterpieces from leading Russian and Western European painters, valuable archaeological items, numismatic collections and fascinating examples of decorative and applied art. Promising great results in the future, this particular strand of work involves three main stages. Firstly, all items of cultural value lost during the war need to be catalogued. 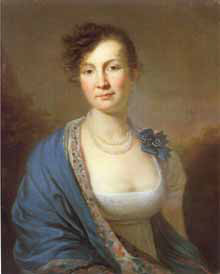 Secondly, a thorough search for the missing items must be carried out on foreign and Russian antiques and art markets. Finally, items traced need somehow to be reclaimed. The cataloguing process is based on the "Combined Catalogue of Items of Cultural Value Lost or Stolen During World War II”, compiled jointly by the Russian Ministry of Culture, Rosokhrankultura and Roskultura. Recording the losses of individual museums, archives and libraries, this catalogue includes 26 volumes to date, and new volumes continue to appear: over the last year alone, 7 volumes were published. In total, over 36,000 lost objets d'art and rare books, as well as a large number of archive documents, have already been recorded in this catalogue. As specialists will be aware, the lack of photographs or other images of the lost items constitutes a huge problem, as do the gaps which exist in pre-war records. All this necessitates a large amount of extra archive research. To illustrate the dry facts and figures listed above, let us now look at some specific examples from our work. The return to Russia of historical military items which left the country with the first wave of Russian emigration is to us of special importance. 22 May 2003 witnessed the return to Russia from the United States of the Standard of St. George, belonging to the Leib Guard Uhlans (Lancers) Regiment of His Majesty. 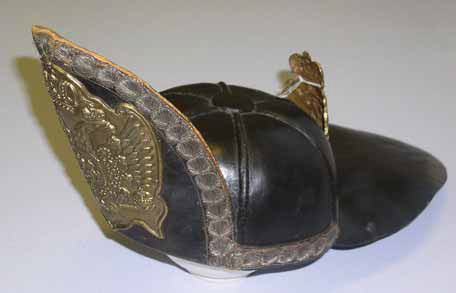 The Leib Guards were personal guards of the Russian Emperor, and this standard is nothing less than a sacred military relic and true national treasure. 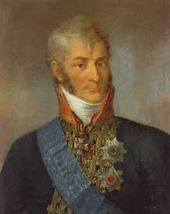 On 26 May 2003, as part of the festivities in honour of the 300th anniversary of St. Petersburg and the re-opening of the Heroes of 1812 Portrait Gallery, the Standard of St. George was donated to the newly created Russian Imperial Guard Museum, affiliated to the Hermitage. Bathed in history and testifying to the glory of our ancestors, the Uhlan Standard of St. George tells a truly fascinating story. Thus, one of its inscriptions reads: "For the capture near Krasnoye [village] of the enemy standard, and for outstanding valour in defeating and banishing the enemy from Russia in 1812”. A reminder of the Uhlans' brilliant performance in the Napoleonic war of 1812, the standard accompanied the brave cavalrymen throughout the Russian-Turkish war, World War I and the Russian Civil War. In 1920, this treasure left the country, yet despite the devastating wars and political catastrophes of the 20th century, it remained intact, kept safe in an American museum. Formed in 1640 as a Cossack regiment, in 1651 the Leib Guard Uhlans Regiment became a hussar unit. In 1803, the regiment received the title of Imperial Guard, and was thenceforward known as the Uhlan Guard of His Majesty. Together with the White Russian cavalry, in 1917 the regiment took part in the Russian Civil War. 1921 saw the Uhlans move to Yugoslavia, where the unit became part of the Yugoslav army. When Tito came to power, the standard was sent to West Germany, then to the USA, where it found a temporary home in New York's Russian Orthodox Church of Christ the Saviour. In 1975, the Association of Officers of His Majesty's Uhlan Personal Guard, which had inherited ownership of the standard, voted unanimously to keep the relic in the U.S. Cavalry Museum at Fort Riley, until such time as the communist regime in Russia might end. Subsequent political changes in our country, the revival of old national traditions and creation of the Museum of the Russian Imperial Guard within the Hermitage prompted the American military leadership to accept our suggestion that the standard be returned to Russia. A testimony to the level of trust now existing between the two countries, this decision likewise shows that Russia is now perceived in a totally new light. It is interesting to note that the Standard of St. George from the Uhlan Regiment returned to Russia precisely on the 200th anniversary of the regiment's receiving the title of Imperial Guard. The standard's return to its homeland was made possible with the aid of the American Embassy in Moscow. Particular thanks are due to the Defence Attache at the American Embassy in Russia, U.S. Army Centre of Military History, the Jordan family and other descendants of the Uhlan Guards, who made the honourable decision to return the historical standard to the Museum Fund of the Russian Federation. Hence forward, this national treasure will forever remain in Russia. Not long after this memorable event, during President Vladimir Putin's state visit to the UK, made between 24 and 27 June 2003, another jewel of Russian military history was returned to its homeland: the Grenadier Guards of the British Army handed over to the Russian side the Standard of St. George from the Russian Leib Guard Grenadiers Regiment. The decision to return this standard was made as a result of lengthy negotiations between the two sides. At the talks, which began in 2001, the Russian party was represented by our service, or, as it was then known, the Department for the Preservation of Objects of Cultural Value of the Russian Ministry of Culture. The British side was represented by the Commander of the Grenadier Guards. The Russian side's previous appeal to the British Royal family to return the historical standard, made during the Queen's official visit to St. Petersburg, had been politely declined. In 1958, the Queen explained, the standard had been handed over not to the British Royal family, but to the Commander and officers of the British Grenadier Guards: thus, this regiment, and this regiment only, was entitled to make such a decision. Furthermore, the standard had been handed over on certain conditions. In preserving their standard, the Russian officers had remained true to their oath: they had sworn allegiance to the Tsar, under whose patronage the regiment had been since 1896. In 1958, as Queen Elizabeth II rightly recalled, the standard was given to the Commander of the Grenadier Guards Regiment of the Royal British Army for temporary keeping. This Royal regiment was, in fact, the British equivalent of the Russian Leib Guard Grenadiers unit. The choice of country was not a difficult one: only in the UK were there still active units of a Royal Guard. At the initiative of the Russian Department for the Preservation of Objects of Cultural Value, the consent of descendants of the officers of the Russian Leib Guard Grenadiers Regiment to the standard's being donated to the new Russian Imperial Guard Museum was sought and obtained. As part of the Hermitage, the new Museum was to occupy the former Guards Headquarters on St. Petersburg's Palace Square. The officers' descendants' consent being one of the main conditions attached to the standard's return to Russia, this development decided the outcome of the negotiations. The relic would return home. One sunny day in the summer of 1996, Gregory Flinn, a professor at one of America's universities, was strolling along a street in Helsinki. Suddenly, in the window of Wanhapietari ("old Petersburg”) antiques gallery, Flinn noticed a charming Russian realist oil landscape. The painting was precisely of the kind which the Professor liked to hang in the bedroom of his house in Fairfax. The artist, it transpired, was Nikolai Fechin. Painted in 1910, entitled "Early Spring” and measuring 25.5 by 28.5 cm, the study was cheap at $3,000. Overjoyed at his luck, Gregory Flinn bought the canvas, signing all the necessary papers. He could have had no idea that his wonderful purchase had in fact been stolen from Sochi's Museum of Art on the night of 12 May 1992. Passing through the hands of many different buyers and illegally transported to Finland, the study had been kept in bad conditions and needed restoration. 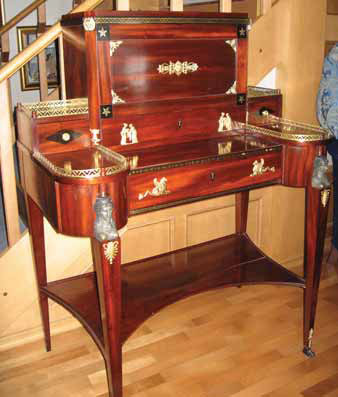 Naturally, Flinn paid for the restoration work and subsequent framing out of his own pocket. According to American law, a buyer who, albeit unknowingly, purchases an item belonging to another owner cannot be reimbursed for the purchase, should the rightful owner stake his claim to the item: the item must simply be returned. The buyer can then decide whether or not to sue the trader who sold him or her the item in question. This circumstance might well have ensured a rapid resolution of the case, had Flinn not also invested in the restoration and framing of the work. This additional expense proved an insurmountable complication. In Russia, meanwhile, criminal proceedings had been instigated, and Fechin's painting, as well as the other works stolen from Sochi Museum, had become the objects of an international search operation. American investigators discovering the whereabouts of Flinn's painting, the professor heard the case for the return of the stolen treasure, yet remained steadfast: the canvas would continue to grace the walls of his bedroom, until his extra investment was reimbursed. Naturally, the budget of the Russian law enforcement agencies includes no provision for such expenses. The Russian Ministry of Culture and Sochi Museum were equally powerless to compensate the Professor, so although the sum in question was not large - around $1,500, as various documents testify - it appeared impossible to raise the money. All the more absurd, considering the study itself was by that time valued at some $15,000! Several years passed. Although the stolen masterpiece had been found, and the law enforcement agencies had already recorded the case as solved, the painting remained in Professor Flinn's possession. Letters continued to be exchanged, yet no progress was made. return: something which went equally well with the bedroom decor. Turning, then, to Russian antique dealers, we requested them to provide us with a substitute, something in the range of $1,500: in this way, they could also play a part in solving the case. The landscapes offered were, naturally, modest works, yet one appealed to the Professor greatly. As I was about to travel to Washington, I undertook to hand over the canvas. With the FBI and Interpol looking on, Gregory Flinn and I met, and finally exchanged paintings. This story abounds with curious details. Tracing the FBI's involvement in the case, we return to the year Gregory Flinn acquired his Fechin. 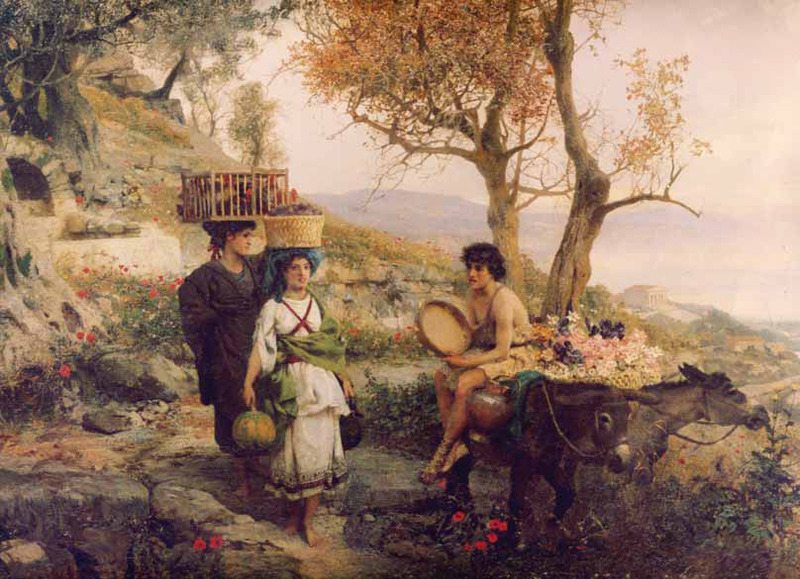 Purchasing the painting in 1996, Professor Flinn became interested in the artist. In 1997, he wrote to the antiques gallery requesting information on Nikolai Fechin. By this time, the gallery was aware that the painting had been stolen, and conveyed this information to Flinn. A law-abiding citizen, Gregory Flinn hastened to inform the FBI that the stolen work had come into his possession. 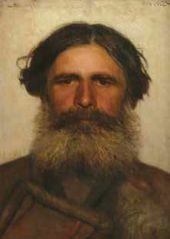 Of the 14 paintings stolen from Sochi Museum, we succeeded in reclaiming 13: in December 1999, the case involving the stolen paintings was closed. Masterpieces such as Ivan Aivazovsky's "Greeting the Sun. Seascape.” (1849), Vasily Polenov's "Horse in Harness” (1872), Sergei Svetoslavsky's "By the Bazaar. Ukraine” (1886) and Viktor Zarubin's "Ukrainian Estate” were finally returned to the museum. Zarubin's painting, for instance, we discovered through the catalogue of the Bukowski winter auction held in Helsinki on 11 February 1996. 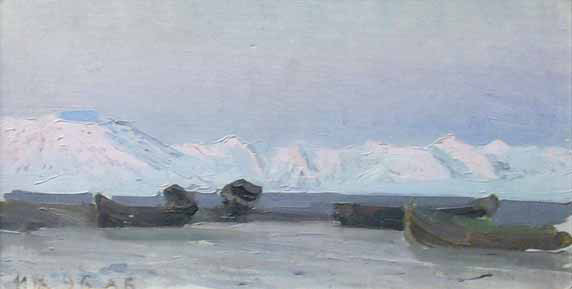 Like Nikolai Fechin's study, this painting had been illegally brought to Finland. Having established that Zarubin's canvas had been purchased by a German citizen, we began negotiations with the new owner, Bukowski's Auction House and the Finnish police. On 25 June 1999, the painting was handed over in Helsinki to a Russian delegation from the Department for the Preservation of Objects of Cultural Value and the Ministry of the Interior: thus, Zarubin's masterpiece returned to Russia. Today, the process of reclaiming items of cultural value has picked up speed, with hundreds of valuable objects being brought back to Russia each year. Naturally, we take particular pleasure in recalling those cases where efficient planning, systematic work, historical circumstance and sheer good luck have combined in unexpected ways to produce an excellent result! Of course, we are not always so fortunate. Sometimes, after gathering and analysing vast amounts of information, we discover that the object in question cannot be returned. For instance, we occasionally come across items of Russian origin, auctioned in the West, which indeed once belonged to a Russian museum, ravaged by Nazis in the war, but were sold before the war as part of Russia's foreign trade. Today, one often hears about religious relics being returned to the Russian Orthodox Church. Many of these were found, or brought back to Russia, by our service. 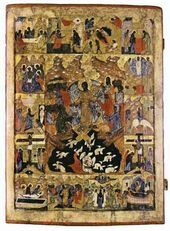 Several years ago, we succeeded in tracing and returning to the Russian Old Believers Church a particularly valuable item - the 15th century icon "The Transfiguration of Our Lord”. 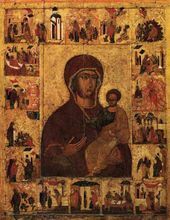 Belonging to the Novgorod school and created around the time of Sophia Paleologue, this icon is an outstanding masterpiece of ancient Russian art. The history of the icon's return to Russia is quite remarkable. It all began with a query addressed to us by A La Vieille Russie gallery in New York. The gallery was planning to put the icon up for sale, and wished to have our opinion concerning its origin. Apparently, the gallery claimed, the icon had been officially exported from Russia many years ago by a high-ranking Mexican diplomat. That the work was an original appeared to be confirmed by a photograph from an album of icons published in Moscow in 1956. After looking the icon up through ERPAS, we contacted the Old Believers community, only to be told that this venerated object had in fact been stolen from the iconostasis of Rogozhskoye winter church of the Moscow Old Believers Metropolitan in 1957. 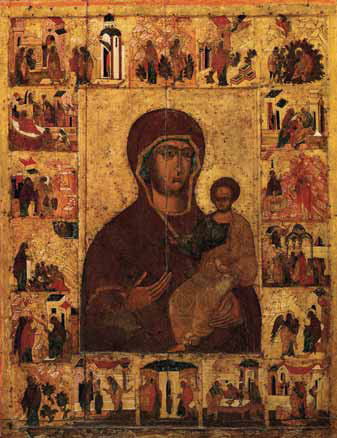 Requesting a high-quality photograph of the icon from the New York gallery, we compared the image to that published in 1956. 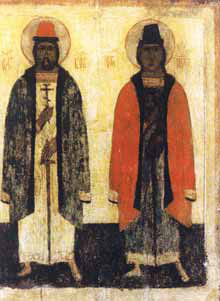 On both photographs, the icon board was cracked in the same place, despite the attempts of restorers to paint over the damaged spot. We were dealing with an unprecedented case. The lady replied through the Russian Embassy in Mexico. She was prepared to offer the icon as a gift to the Russian people, she claimed, but would like to hand it over in person at the Russian Embassy in Mexico City. Respecting her wishes, we embarked on a whole series of operations, collecting the icon from the gallery in New York, transporting it to Mexico, organising the official ceremony and preparing the necessary documents for the icon's handover. At the embassy, we collected the icon and presented the widow with a letter of gratitude from the Russian Ministry of Culture, and with a modern icon from Metropolitan Alimpy, the Old Believers Metropolitan of Moscow and All Russia. Following the ceremony, the icon had to be brought back to Russia. At the widow's request, her name was kept secret. Living in a highly modest area of Mexico City, this wonderful woman kept the warmest memories of Russia, which prompted her to take such a noble, albeit difficult, step. An important case in this area was the return to Russia of another wonderful icon, created during the reign of Ivan III, Grand Prince of Moscow. Under Ivan Vasilievich, the walls and towers of the Moscow Kremlin, as well as its Assumption and Annunciation cathedrals were built. The reign of Ivan III also saw the formation of a single Russian state, and the emergence of the two-headed eagle as the symbol of Russia. The ceremony of the icon's handover took place as part of an important press conference on the illicit traffic in cultural property, organised by UNESCO and held in Moscow's Pushkin Museum of Fine Arts. Thus, the icon's return to its homeland received international coverage. In the last few years, a number of items from the looted Chechen Museum of Grozny have been traced and recovered. The ravaging of Grozny's Museum of Fine Arts and subsequent plundering of the majority of its collection posed an unprecedented problem. Our service was forced to develop a system for tracing and recovering lost objets d'art in a situation where virtually all the museum's records had been destroyed. Grozny Museum had originally boasted some excellent examples of Russian, Western European and Chechen art. In order to recover these treasures, we began working simultaneously along several lines. We studied the catalogues of exhibitions held by the Grozny Museum in different years, and sent requests for information to the large Russian museums which had helped to form the Grozny collection initially. Studying a number of monographs on the work of major Russian artists yielded additional information: writing about specific works, the art critics and historians often mentioned the whereabouts of the pieces in question. Further material was collected from the archives of various bodies and organisations. All data obtained were analysed, checked, grouped and entered into ERPAS. At present, we possess information on 1,200 lost items from the Grozny Museum collection. Some pieces have more detailed records than others: if the paintings, of which there are over 500, possess relatively full descriptions, other items may be listed without a detailed description, or without photographs. 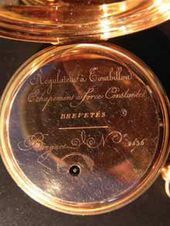 Naturally, we cannot tell the story of all our lost and recovered treasures in one short article: to do so, we would need several richly illustrated volumes. Nevertheless, we hope readers will have gained an idea of some of the main areas in which we do our challenging and fascinating work. Francesco MONTI. 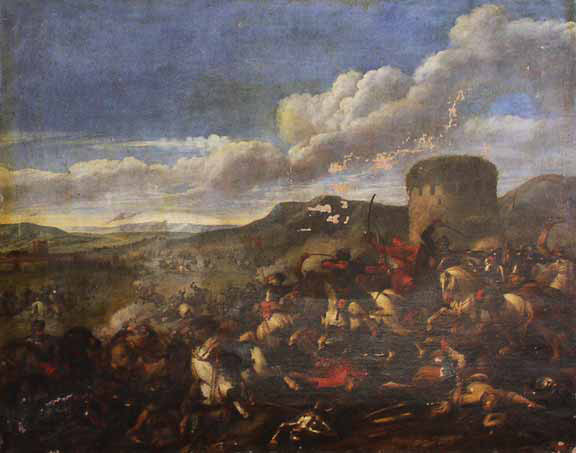 A Cavalry Skirmish. 18th cent. 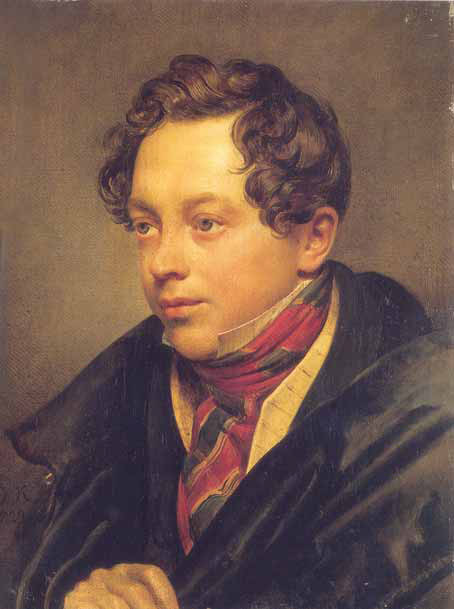 Unknown artist (circle of Alexei Venetsianov). Children Freeing a Bird. 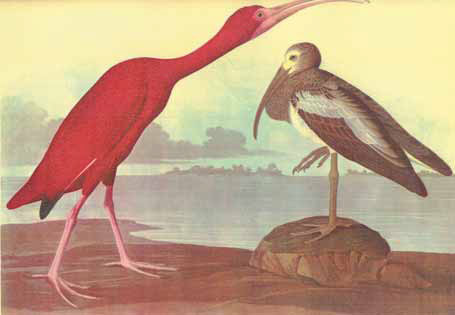 Mid-19th cent. 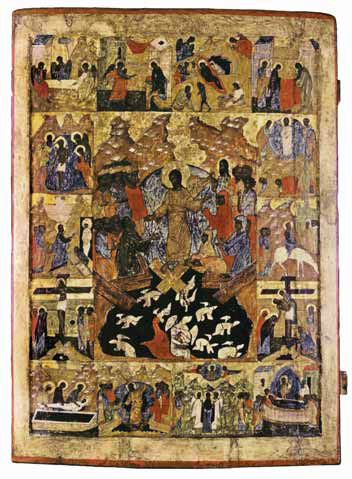 The Resurrection of Christ (Descent into Limbo). 16th cent. SS Boris and Gleb. 15th cent. Our Lady Hodegetria of Smolensk. 16th cent. A Gambs cabinet bureau. Early 19th cent.